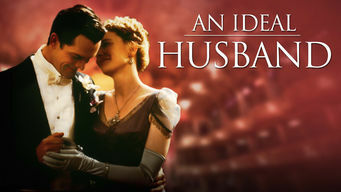 How to watch An Ideal Husband (1999) on Netflix Argentina! Yes, An Ideal Husband is now available on Argentine Netflix. It arrived for online streaming on October 7, 2017. We'll keep checking Netflix Argentina for An Ideal Husband, and this page will be updated with any changes. A member of Parliament learns his career and marriage will suffer scandal unless he submits to a blackmailer in this adaptation of Oscar Wilde's play.